WEST LAFAYETTE, Ind. — Three Purdue University researchers who gained national attention for their study of head injuries suffered by high school football players will speak as part of a team presentation at Thursday’s (April 21) Science on Tap event in downtown Lafayette. Professors Eric Nauman, Thomas Talavage and Larry Leverenz will give the presentation, “Can We Play Football Safely? Lessons Learned From Studying High School Football Players,” at 6 p.m. in the upstairs of the Lafayette Brewing Company, 622 Main St., in Lafayette. 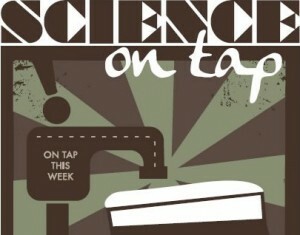 The Science on Tap event is free and open to the public to those ages 21 or older. Event sponsors are Discovery Park and Purdue’s Schools of Mechanical Engineering, Electrical and Computer Engineering, and Health and Kinesiology. The study by the Purdue researchers, published in the Journal of Neurotrauma last October, suggests that some high school football players suffer undiagnosed changes in brain function and continue playing even though they are impaired. The team of researchers screened and monitored 21 football players at Jefferson High School in Lafayette, Ind. The athletes wore helmets equipped with six sensors called accelerometers, which relay data wirelessly to equipment on the sidelines during each play. Impact data from each player were compared with brain-imaging scans and cognitive tests performed before, during and after the season. The researchers also shot video of each play to record and study how the athletes sustained impacts. The Purdue researchers identified 11 players who either were diagnosed by a physician as having a concussion, received an unusually high number of impacts to the head, or received an unusually hard impact. Of those 11 players, three were diagnosed with concussions during the course of the season, four showed no changes and four showed changes in brain function. Researchers evaluated players using a GE Healthcare Signa HDx 3.0T MRI to conduct a type of brain imaging called functional magnetic resonance imaging, or fMRI, along with a computer-based neurocognitive screening test. Science on Tap, led by Purdue postdoctoral students John Paderi, Patrick Dolan and Stuart, provides faculty from Purdue the opportunity to share their research activities in an informal setting, touching on subjects and providing presentations that are designed to appeal to a more general audience. Attendance at the monthly event has averaged 80 during the program’s first year.